Naturopathy, or natural medicine, is a complementary therapy with the goal of helping the body to heal and to stay healthy. It replenishes the state of health in the body always through the application of natural methods and techniques and also by the administration of natural products. Natural medicine or Naturopathy is considered an alternative therapy. The naturopaths consider each individual as unique and, therefore, the treatment for the same pathology will vary from patient to patient. It is an integral and multifactorial approach to health and to disease that enhances the connection between mind and body through which emotions and spirituality affect balance and well-being. The naturopath, through the way it treats the patients, little by little, leads the individuals to a change of habits and, even, to the adoption of a new philosophy of life, assigning a fundamental paper to the feeding. Although the tendency is to resort to natural medicine and even alternative therapies, only when a health problem arises, in fact the correct thing would be to use this and other therapeutic forms not only as a cure but as a prevention. Natural medicine helps the human body to rebalance, being effective not only in most discomforts and transient diseases, but also in the prevention and treatment of chronic diseases. It also has increasingly developed adepts who understand the advantage of treating the body without resorting to chemicals, often these chemicals when treating a disease can have side effects for the rest of the body. Besides that, for Natural Medicine, prevention is very important in terms of health and is not always given the importance it should. Many of the health problems with severe results, some already without solution, are settled in our body in an asymptomatic way and when they are actually diagnosed many times there is no way to solve them. 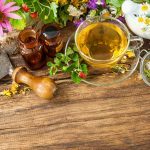 One of the principles of natural medicine is that the body is able to withstand certain diseases and pain and, provided that it is detected in a timely manner and properly accompanied by a specialized therapist, can recover and promote self-healing. In this way, natural medicine works from prevention and promotes the change of eating habits and lifestyle as important steps to take in the recovery and restoration of health and well-being. In addition, and in cases where prevention was not possible, as patients already reached the naturopath with health problems, natural medicine will not only treat the symptoms so that they improve, but will also try to find out which is the cause to those symptoms, in order to get and treat the root of the problem. By making a correct diagnosis of each patient, the naturopath concentrates on the removal of primary causes rather than limiting itself to eliminating symptoms. Acupuncture consists on the application of needles at specific points of the body to restore the normal passage of energy in the body. Its philosophical basis indicates that these points affect the different organs and are located on channels of energy (called meridians) that are spread by the body. Points are known to be related to the nervous system – and the nervous system influences the whole body. It was created by Linus Pauling, Nobel Prize in Chemistry and Peace. He used vitamins, amino acids and minerals in amounts greater than those that can be absorbed by the body. The diagnosis is made from the analysis of a hair thread. It was developed in India more than five thousand years ago, and serves as the basis for other oriental therapies. In Ayurveda, the disease is a sign of the lack of balance between body, mind and soul. To promote rebalancing, there are different techniques of meditation, nutrition, exercises and massage based on that philosophy. Ayurvedic massage is one of the best known techniques. The procedure is to use essential oils to stimulate vital points, traction and stretching of the tendons and ligaments.